The Koala, Tofu and I are lucky to have lovely neighbours who we share our yard with. They have been fishing this summer and this week we were gifted two red snapper. I was stoked to able to cross off a bucket list item: Deal to a freshly caught fish. First I scaled both fish. With the fish and your hands in a plastic bag seriously cuts down on flying scales and mess. From what I’ve read, it’s also a good idea to scale fish outside, but I prefer to be by our sink. Our neighbour had kindly gutted one fish so I used that as a template. In case you didn’t already know, fish guts are disgusting. To be honest, I never gave it much thought. All the fish I’ve cooked or eaten have come to me sans guts. Fish guts look like a mini version of the people guts that you might glimpse in a zombie movie. It’s not all pink and red, but some orange and yellow hues. Gruesome. As revolting as guts are, it didn’t take long to tear them out and put them out of sight. Done, out of mind, forgotten. I decided not to fillet the fish since I don’t have a filleting knife and to be honest, gutting and scaling was enough for this first timer. This recipe uses clean Asian style flavours that I grew up with. Gut and scale fish. Remove head with a sharp knife and then remove all fins using a sharp pair of scissors or knife. Place each fish on a sheet of aluminium foil and stuff with onion, garlic and spring onions. Aim for a good handful of stuffing. Sprinkle a teaspoon of soy sauce, salt, pepper and a knob of butter. Fold over alumnium and seal the foil to make a parcel. Serve steamed greens and with rice to soak up the delicious sauce. 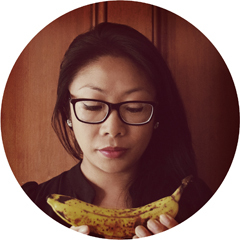 This post is part of Our Growing Edge, a monthly blogging event to encourage us to try new food related things. This month’s event is being hosted by Danielle over at Keeping Up With The Holsbys. If you have a blog and have tried something new with food this month, come and join this event. How fantastic to be able to cross something off so quickly and relatively easily. Did you enjoy it? What is brassicas? You should have taken a photo of the guts, you have me curious. Hi Eva, Brassicas are just broccoli, cabbage, brussels sprouts etc. I considered taking photos of the process, but when I had handfuls of fish guts the last thing I wanted to handle was my camera. You’ll just have to believe me, it was messy. Gah! This is cool and inspiring. You’ve definitely inspired me to cook more fresh fish especially whole since it’s so easy. It reminds me of home since my mom used to cook whole fish all the time. She actually would leave the head on so stuff like that doesn’t bother me. Neat post! I grew up eating whole fish, head on. No allowances just for being young. We were always just told to eat carefully. I actually prefer whole fish. It’s very tasty and fun to eat. Looks like you did well! I have always relied on my dad for fish cleaning. He is quite the expert. I have the same problem with the guts that you do, so I just do without unless Dad is around. Well done Genie! I can’t recall when I last gutted a fish, but suffice to say it was a very, very long time ago, and I made sure I never have to do it again. 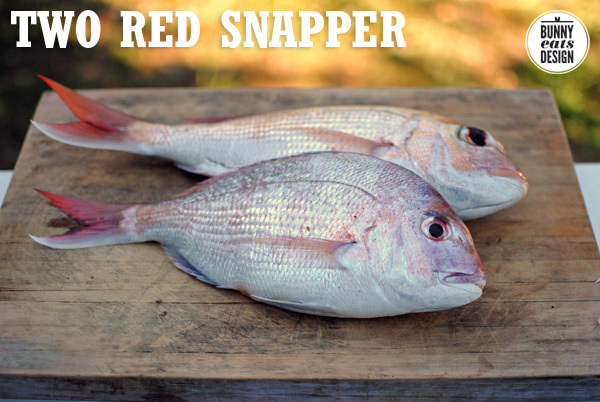 I love whole fish; luckily I have a brother who goes out fishing at least once a month, so I get to dine on superfresh snappers without having to do any work. 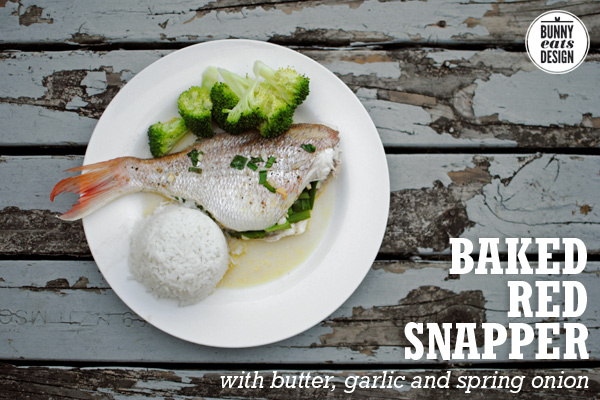 Yum, I worked with a couple in the whangarei heads who took me out fishing for red snapper, what a tasty fish! I agree completely about whole fish as well. You will think I am obsessed with pies, but I recently put six sardines in a traditional Cornish Stargazey Pie, so named because the heads poke up through the crust to gaze at the stars. Congrats, Genie! You make it look so easy. Love the photography too.